Impressive, eh? I made…count ’em…one, two, three! One for me, one for my mom, and one for my grandmother. In all seriousness, it was a nice mindless project for those uncertain days. I used Knit Picks Dishie in “Linen,” size 7 needles, and this pattern. 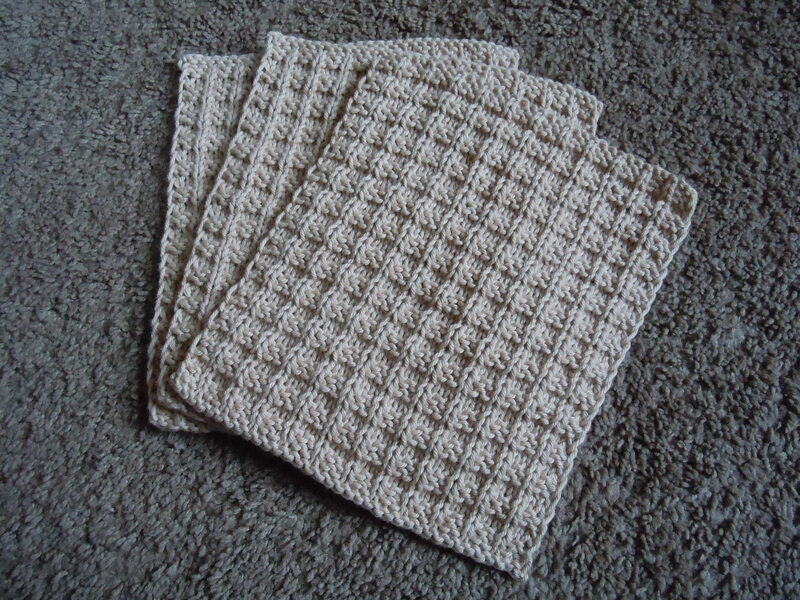 Categories: Uncategorized | Tags: cotton, dishcloth, dishrag, knit, tan | Permalink.